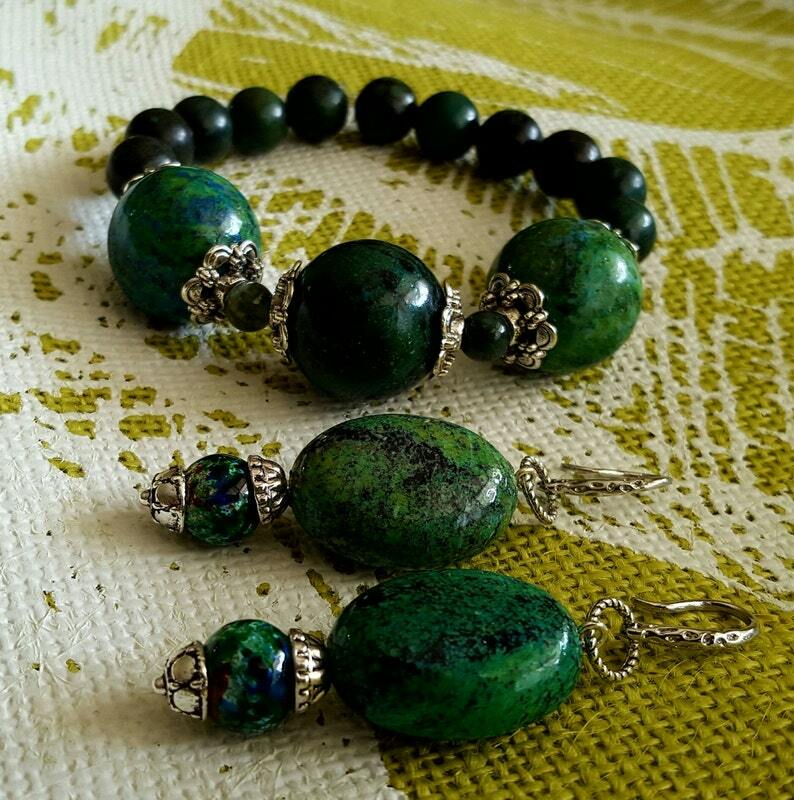 Wear this beautiful stretch bracelet and earring set any time of the year. Beautiful Iridescent Pearlized Beads. 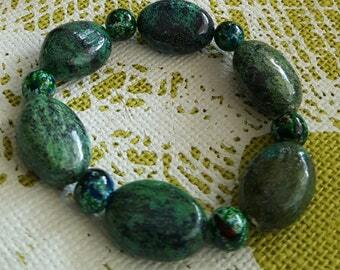 Blues, greens and black beads with decorative silver spacers. Bracelet measures approximately 8in and earrings hang approximately 2in with sterling silver ear hooks.